Audi's Ulrich Hackenberg has hired lawyers to contest his suspension, a source close to the matter has told Reuters. BERLIN (Reuters) -- Volkswagen has not found any evidence against three top engineers suspended as part of its internal investigation into the rigging of U.S. emissions tests, a source close to the company's supervisory board told Reuters today. Two sources said the German carmaker's internal inquiry had found employees began to install software designed to cheat diesel emissions tests in 2008, after realizing a new engine developed at great cost would fail to meet both U.S. emissions standards and in-house cost targets. The inquiry has led to the suspension of more than ten senior managers. Only the names of the three top engineers, all of whom held key positions at the time, have surfaced in media reports. The three are Heinz-Jakob Neusser, head of technical development at the core VW brand; Ulrich Hackenberg, head of r&d at premium brand Audi; and Wolfgang Hatz, the VW group's engine chief and head of r&d at sports-car brand Porsche. One source said the internal inquiry, expected to be the main subject of a special board meeting on Wednesday at VW's Wolfsburg headquarters, had not found evidence to accuse the suspended individuals of the manipulation. 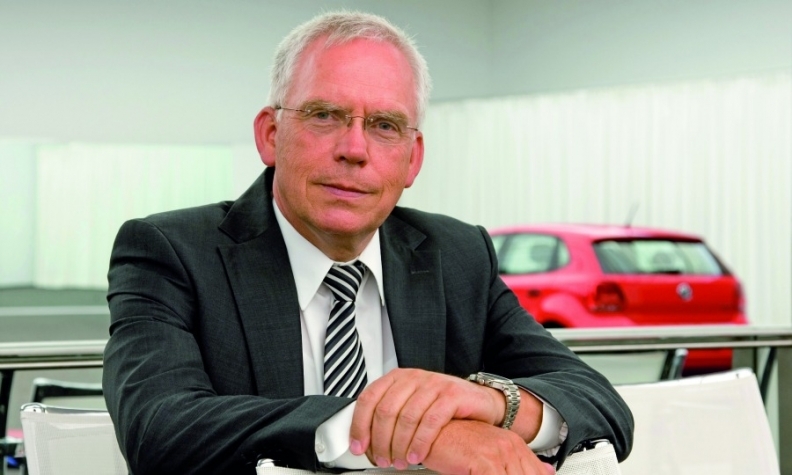 The investigation is ongoing and VW expects it will last at least several months. VW, Audi and Porsche all declined to comment, while the individuals could not immediately be reached for comment. Hackenberg has hired lawyers to contest his suspension, a source close to the matter has told Reuters. Hatz has told internal investigators he is innocent, but has not taken legal action because he expects the inquiry to clear him of any wrongdoing, said one of the sources, who is close to the supervisory board. Europe's largest carmaker has admitted to using software to rig diesel emissions tests in the United States. Germany's transport minister says it also manipulated tests in Europe, where VW sells about 40 percent of its vehicles. It is under huge pressure to get to grips with the biggest business crisis in its 78-year history, which has wiped more than a third off its market value, forced out its long-time CEO and rocked both global car markets and the German establishment. The head of VW's U.S. business, Michael Horn, is expected to be quizzed about those responsible for the scandal when he appears before a panel of U.S. lawmakers on Thursday. The two sources said the U.S. hearing was adding pressure on VW to provide concrete information about what caused the scandal. Germany's KBA watchdog has also set the carmaker an Oct. 7 deadline to say how it will bring its cars into line with emissions standards. VW has said it will have to refit up to 11 million diesel vehicles worldwide, include 2.8 million in Germany, that contained software capable of cheating emissions tests. New CEO Matthias Mueller will address workers at a staff gathering in Wolfsburg on Tuesday and is expected to brief the supervisory board on Wednesday, one source said. VW shares dipped to a 5-year low of 86.36 euros on Monday. They recovered to close up 1.3 percent at 93.52 euros, lagging a 3 percent rise in Europe's blue-chip stock index.